Milk thistle seeds contain a flavonoid complex known as silymarin composed of silybin, silydianin, and silychristin. Research has shown that it is the absorption of silybin that is the key to unlocking the health benefits of milk thistle. However, regular silybin is poorly absorbed and easily destroyed when it enters the stomach and digestive tract. 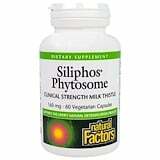 Siliphos is developed using a property phytosome technology developed specifically to optimize silybin absorption. 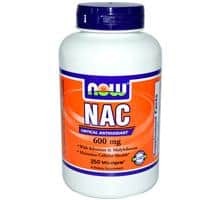 1 capsule 2-3 times per day or as directed by a health professional. Vegetarian capsule (carbohydrate gum [cellulose], purified water), silica, croscarmellose sodium, magnesium stearate (vegetable grade). Contains no artificial colors, preservatives, or sweeteners; no dairy, starch, sugar, wheat, gluten, yeast, corn, egg, fish, shellfish, animal product, salt, tree nuts, or GMOs.